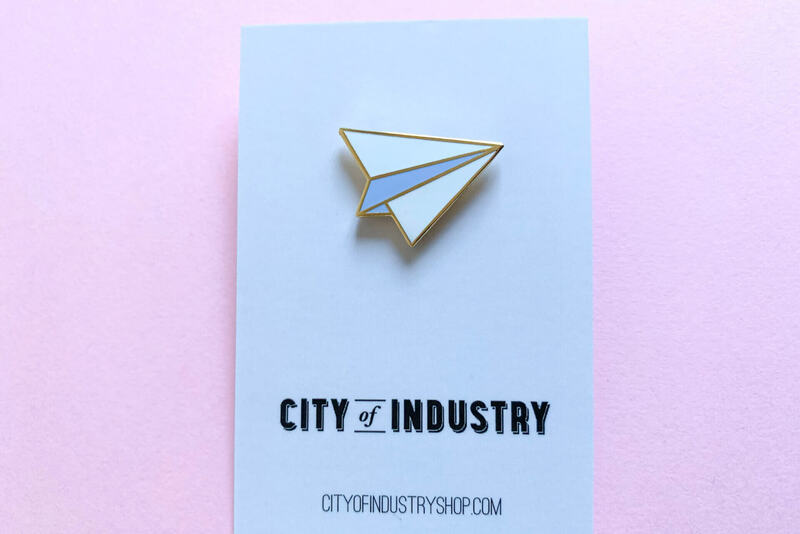 A lovely paper airplane enamel pin by City of Industry. 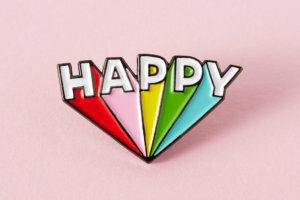 Flown here all the way from the USA! 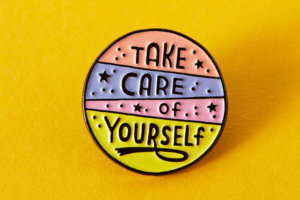 Such a simple, beautiful design. 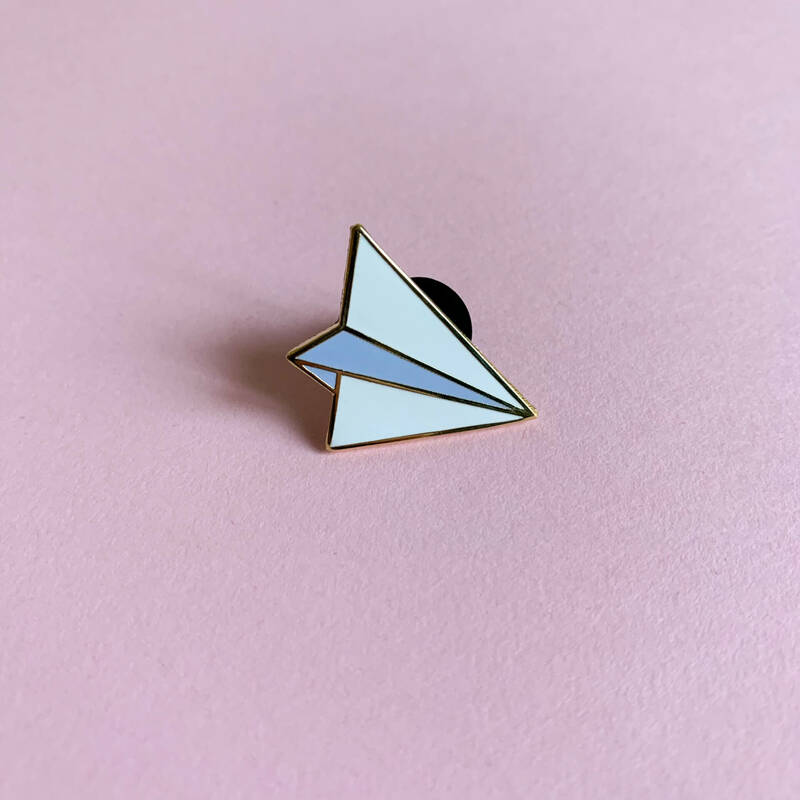 This paper airplane pin reminds me of lazy summer afternoons at school, folding paper planes instead of doing homework. 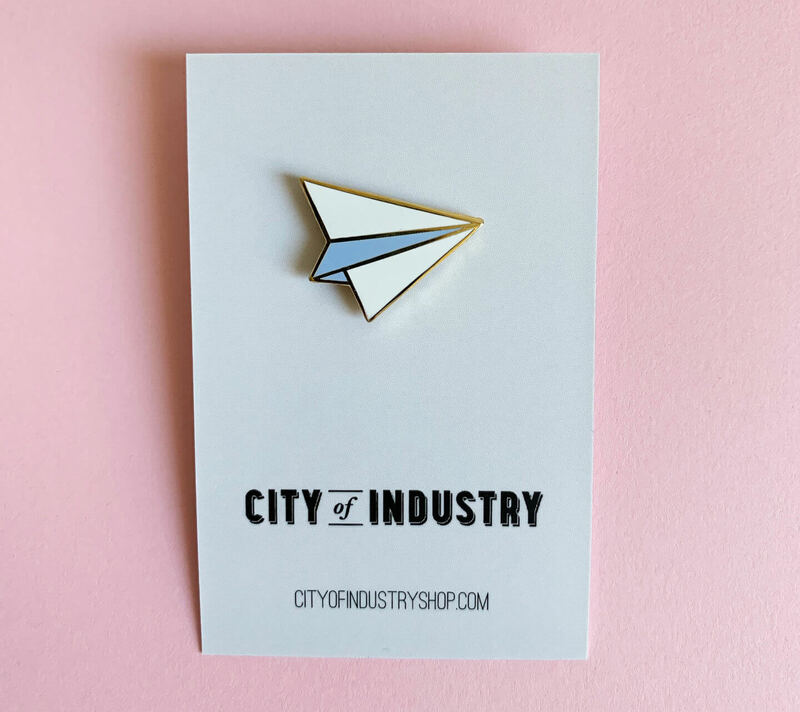 The wonderful Sarah Anderson designed this enamel pin for her brand City of Industry in Salt Lake City, Utah. 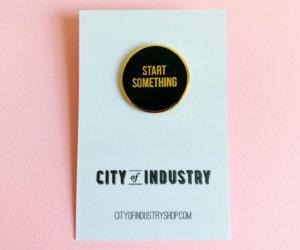 Shipped on a City of Industry card in a protective cellophane wrapper.